The Visa Information System (VIS) is a tool of the European common visa policy, and is closely related to both the Schengen agreement and the Union's immigration policy. Its aim is to facilitate visa proceedings, help Member States combat visa fraud, prevent the occurrence of multiple visa applications, help determine asylum's seekers' Member State of Origin and prevent threats on the EU's internal security. Data is fed into the VIS by national authorities. The authorities with access to VIS must ensure that its use is limited to that which is necessary, appropriate and proportionate for carrying out their tasks. Furthermore, they must ensure that in using VIS, the visa applicants and holders are not discriminated against and that their human dignity and integrity are respected. In some cases, Europol and national law enforcement agencies can also get access to the VIS database (see Council Decision 2008/633/JHA of 23 June 2008 for further information). Data from the VIS can also in some cases be used for the evaluation of asylum applications, by competent authorities. What kind of data is stored into the VIS database ? in article 14 in case the visa is extended. Listing all types of data here would be too long. 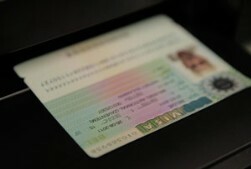 As a summary, data stored into this database concerns the identity of the authority examining the application, elements (like date, type of the visa) on the application process itself, the name of the applicant, the purpose of the travel, the length of the stay, a photography and a fingerprint. Data is kept in the VIS system for up to 5 years, but if the data subject obtains a Member State's citizenship, his record must be erased immediately. What are the data subject's rights ? Visa applicants must be given appropriate information from the national authorities that handle their request for a visa. This information should cover the nature of the data that is collected, the purpose of the collection, the period of retention of the data, which information is compulsory for the visa application process and which one isn't, and who can be granted access to this data. Data subjects have a right to access their data, and ask for correction of false information as well as request deletion of unlawfully collected data. Each State being responsible for the data it feeds into the VIS, data subjects may sue for compensation if he is the victim of unlawful VIS data processing. National data protection authorities, such as the NAIH in Hungary, and the European Data Protection Supervisor (EDPS) cooperate to ensure the compliance of the VIS database with data protection rules. Address: 1027 Budapest, Nagy Imre tér 4.